This is a FREE service provided for the convenience of Filipinos. There is no charge for making an appointment with the DFA Main office (at Bradco corner Diosdado Macapagal Blvd. Aseana Business Park, Pasay City) or its sattelite offices. Those in provinces can also apply at the nearest Regional Consular Office or during Mobile Passport Service (MPS). Requirements for those who are applying for renewal of expired or expiring passports. Birth Certificate issued by NSO (by birth). Bureau of Immigration Identification Cerficate No. (by naturalization; by election; by marriage; by recognition). Old passport and photocopy of passport pages 1,2,3 (amendment). The pages showing latest Bureau of Immigration departure and arrival stamps. Supporting document with complete middle name. Present passport and photocopy of inside and back cover. The pages showing latest Bureau of Immigration departure and arrival stamps. For illegitimate minor, personal appearance of mother is required. Marriage Contract (MC) in Security Paper issued by NSO or CTC issued by the Local Civil Registrar duly authenticated by NSO. For Minors (below 18 years old): Personal appearance of either parent is required. Affidavit of support and consent (must be authenticated by the nearest Philippine Embassy or Consulate General if not executed before a Philippine Consul). Special Power of Attorney (must be authenticated by the nearest Philippine Embassy or Consulate if not executed before a Philippine Consul designating the representative by name and authorizing him to apply for a passport on behalf of the minor). Passport and photocopy of the passport of person travelling with the minor. The Department of Foreign Affairs accepts and processes passport applications and authentication services at the new Office of Consular Affairs building at Bradco corner Macapagal Avenues, Aseana Business Park near the Mall of Asia. The DFA new office is a 7,000-square meter, four-storey building located a few blocks from the old DFA building. 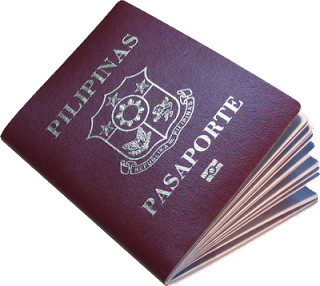 The DFA accepts online requests for appointment for passport applicants. how about the rescheduling of renewing passport???. how can i know here online? ?